We know that more and more people are going mobile. 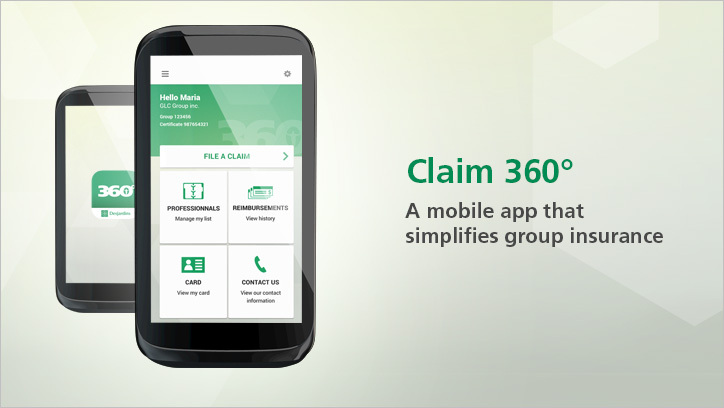 That’s why we’ve created the new Claim 360° app so you can access your group insurance anytime, anywhere. With this FREE and user-friendly app you can submit claims for care received from most health professionals directly from your mobile device. 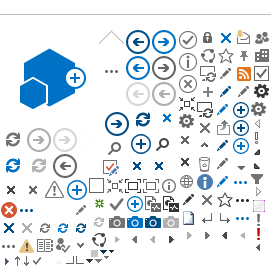 You can also track claims, display your payment card, and more! Claim 360°, another practical tool in Desjardins Insurance's optimal health management service offer. With Claim 360°, it takes less than 30 seconds to submit a claim to Desjardins Insurance – Opens a tooltip. Let's take a look at how easy it is. confirm your contact information… And you're done! Desjardins will reimburse you in a few days. Anytime, anywhere, you can also view your claims history, manage your list of healthcare professionals and display your payment card. Claim 360° makes life a little easier. Submit a claim to Desjardins for healthcare services for yourself or any of your dependants. No paper, no forms—all you need is your tablet or smartphone, and it takes less than 30 seconds. Manage your list of healthcare professionals. Pull up your payment card for your pharmacist or other healthcare professionals. Check your health spending account balance, if you have one. Find contact information for our customer service representatives, technical support agents or Travel Assistance team. Access to certain features may vary by plan. The Claim 360° app works with iPhone, iPad and iPod touch, as well as AndroidTM phones and tablets. Get this FREE app now! Registered for the secure site for plan members External link. Opens in a new window. If you have forgotten your User ID or password, click on the “Forgot your User ID?” or “Forgot your password?” link on the login page External link. Opens in a new window. of the secure site for plan members. For technical questions or to report a problem, call 1-866-838-7577 This link will launch your default phone software. (Monday to Friday, 8:00 a.m. to 5:00 p.m. Eastern Time).